An unhealthy set of gums and teeth would be the last thing you want affecting your gorgeous smile. 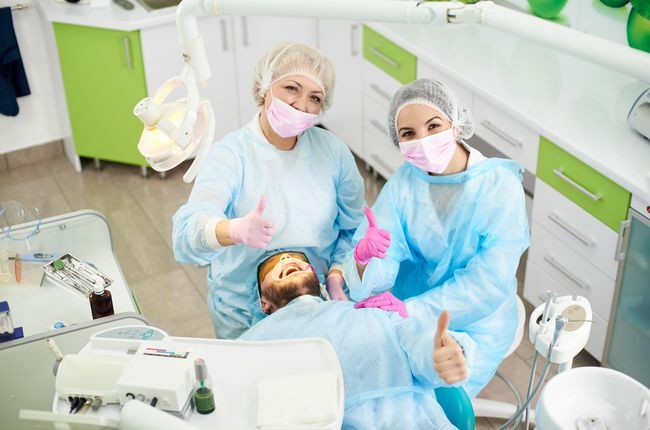 Although several reasons may damage the elegance of your smile, gum disease, and periodontal disease stand as the number one cause of unhealthy gums and teeth. Periodontal disease is a chronic gum condition that can alter the look, feel, and texture of gum tissues. Untreated bacteria deposits themselves in gum pockets leading to a severe state of chronic gum disease. It has the potential chances of affecting other parts of the body as well. Today, with advanced treatment procedures, Dr. Saeb and her team of professionals can help treat failing gums tissues with a non-surgical method such as soft tissue management. Soft tissue management is an invasive, non-surgical method of treating infected and inflamed pockets in the gums and around teeth structures. Non-surgical means of treatment are more likely to give results that tick all the boxes concerning both treatment and aesthetics. Without removing any existing gum tissues, the procedure is to maintain them free of plaque and calculus with regular scaling and root planing. The process would be performed by an experienced dental hygienist or a periodontist. It involves removing signs of plaque and tartar from teeth surface. This is advised to be performed twice a year. A deep-cleansing, non-surgical method that deeply scraps away hard plaque and tartar from above and below the gum line. Several anti-microbial agents can be used to treat gum conditions along with scaling and root planing. This can temporarily eliminate bacteria from teeth surface that may damage nearby tissues. An anti-microbial agent to control plaque and gingivitis is either available as a mouth rinse or a gelatin-filled chip. Schedule your appointment with us today to better understand your unique condition. Call us or request an appointment online, today.